Government has concluded a $25 million deal for medical equipment, medicines and surgical sundries with India to ease drug shortages and deal with price distortions. This comes as junior doctors at public health facilities went on strike on Saturday, citing unsatisfactory working conditions, low salaries and lack of basic medicines and equipment. 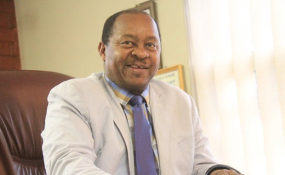 In an interview yesterday after meeting Zimbabwe Hospital Doctors' Association (ZHDA) President Dr Elias Muzoremba, secretary-general Dr Anele Mthabisi Bhebhe and other members at Parirenyatwa Group of Hospitals, Health and Child Care Minister Dr Obadiah Moyo said the health sector should start getting medicines and medical supplies soon. He said he was working to improve the welfare of doctors. "The President has equally made a huge contribution in as far as making sure that products are available to the Ministry of Health. I am happy to note that an arrangement for $25 million worth of medical goods, medicines and surgical sundries has been concluded through the efforts of His Excellency. "We are very grateful for the effort made by His Excellency's office. As soon as the products start coming in, they should be distributed to various healthcare centres starting with Government institutions and this is all coming through Natpharm," he said. "I am happy to note that His Excellency President Emmerson Mnangagwa has been considerate and he has been working with us, ensuring that we make all the arrangements necessary to be able to acquire various commodities required to ensure that we run an efficient health care service. At the same time credit facilities have been created by the Ministry of Finance for the benefit of the health system." Dr Moyo said discussions were still ongoing between Zimbabwe and India for another consignment of 100 tonnes of medicines, which will put the country in a much better position. He urged junior doctors who are on strike to go back to work and look after patients. "We have realised that the junior doctors have been having problems with fuel. It is very painful to see young doctors riding into the kombis together with their patients. "We want a situation where our doctors and all our healthcare workers are well looked after. In fact, my number one priority has always been to ensure that all health workers are well looked after," said Dr Moyo. "We want everyone to go back to work and look after patients. It is my strong belief that there has to be an engagement and dialogue on a continuous basis. I have no problem meeting with the junior doctors. I met another group and I would like to meet everyone," he said. He assured Zimbabweans that Government was working on ensuring that health care service gets back to normal in the shortest possible time. Dr Moyo said Government wanted to work well with the doctors and also attend to their grievances. "I am coming in as a new minister with a different approach and I know what has been happening. Feel free, don't be scared, don't be shy, speak your minds. The more you say, the more we will be able to make the ministry function," he said. He said whatever grievances the association would bring to his office, would be passed on to the appropriate authorities. Dr Muzoremba said the minister had paved way for the start of formal negotiations to resolve the situation as soon as possible. Dr Bhebhe said: "We are still engaging the ministry to map the way forward. We are still pushing our agenda so that our grievances will be addressed as soon as possible so that normalcy can be restored in the health sector." Dr Moyo later toured the hospital in the company of officials.